Disney Theatrical Licensing makes it possible to license Disney musicals for a variety of organizations, from professional theaters to school groups. Licensing is the process of acquiring the performance rights to a show and is the only way to legally perform a Disney musical. Music Theatre International (or MTI) is the dramatic licensing agency through which Disney licenses the performance rights to their musicals. 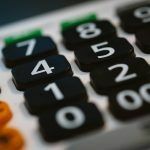 When MTI approves a school or theater’s licensing request, the organization will receive the full script, score, and any other materials necessary for putting on the show. 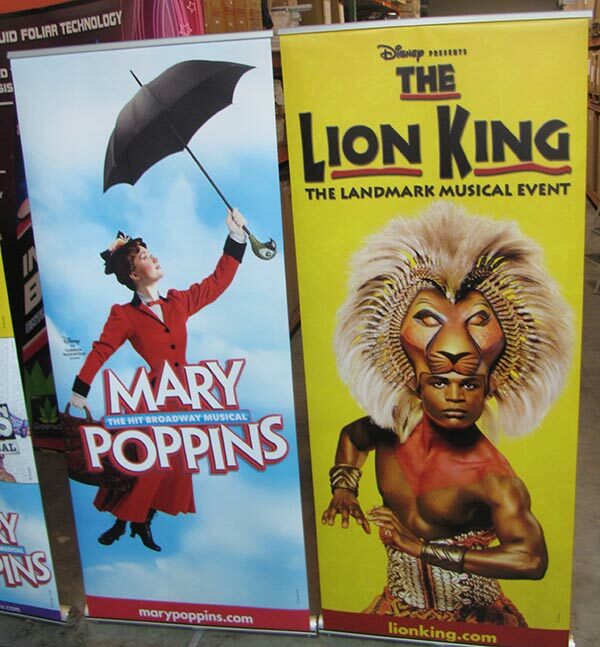 Disney Theatrical Licensing came to ExhibitDeal to create promotional marketing materials that can effectively aid them in their goals of outreach to educators, administrators and parents. Many of Disney Theatrical Licensing’s offerings are a part of the ever-growing Broadway JR collection. These adaptations are designed to fit the needs of young performers with condensed run times and music written in keys appropriate for developing voices. Disney favorites such as Aladdin, Cinderella, Beauty and the Beast, and 101 Dalmatians are just some of the cherished stories that have gained mainstream success as a JR. or KIDS title. Disney’s JR. and KIDS titles are frequently produced by Elementary and Middle Schools to promote the arts, a focus that has sadly been slipping away as academic budgets are tightened. All Disney JR. and KIDS shows come with a ShowKit that includes extensive step-by-step materials that will help first-time and seasoned directors stage their production and cultivate a creative environment for their students. 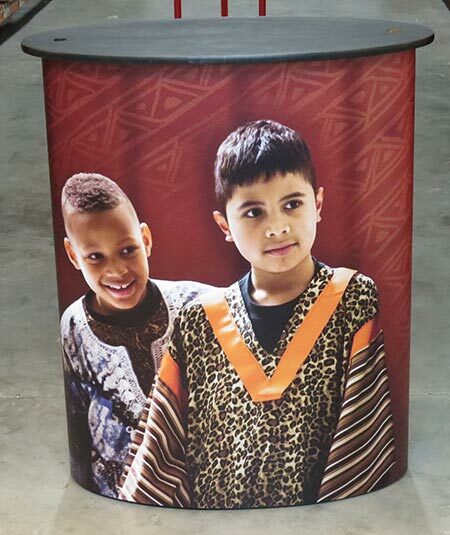 Disney Theatrical Licensing uses their displays to create brand awareness, acting as a visual backdrop for their discussions with school principals, teachers, PTA members and parents to share the benefits of theatre. The exciting part about exhibit booth design is seeing all the inventive ways different brands use a display to generate brand engagement. While ExhibitDeal’s SOLO Counter was created as a presentation and product demonstration solution, features such as a lockable backside door allow an attractive standalone counter to be used for storing purses and other collateral that doesn’t need to be out front. The Disney Theatrical Licensing team shared their experience with us, using the multiple SOLO Counters they purchased as a way to welcome visitor traffic into their space and allow them to act as discussion pieces to group around and learn more about their musical offerings for students. Director of Sales, John Cornell and the ExhibitDeal team were thrilled to work with Disney Theatrical Licensing and rise to meet any needs and challenges that arose. 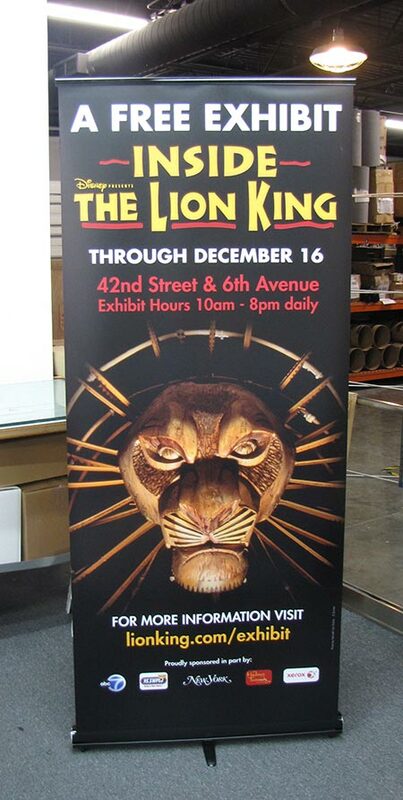 Over recent years Disney Theatrical has come to ExhibitDeal to produce striking retractable banner stands from our DQ36 series, modern 20ft TubO Tension Fabric backwall and accessories like the SOLO Podium Counters with full graphic wraps.